Dr. Kyle Crews is an Assistant Professor at Saint Louis University where he also directs a program in interdisciplinary studies.  His research explores the relationship between literature, theology, and culture. This post on Addams derives from his work on the theological roots of American literary anti-imperialism. You can contact Dr. Crews at kyle.crews@slu.edu. 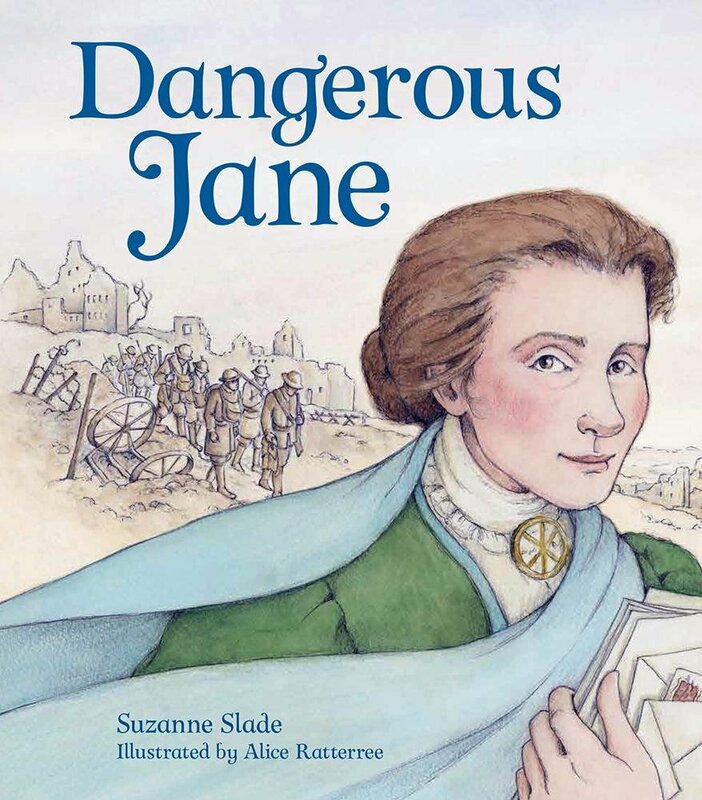 My recent work on Jane Addams explores the moral imagination or theological vision that animated her commitment to social reform. 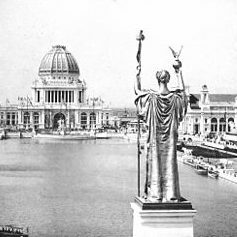 She was an outspoken critic of corrupt politicians, avaricious capitalists, and city officials who colluded against the working class, immigrants, and other disenfranchised peoples to maintain their political and economic control. 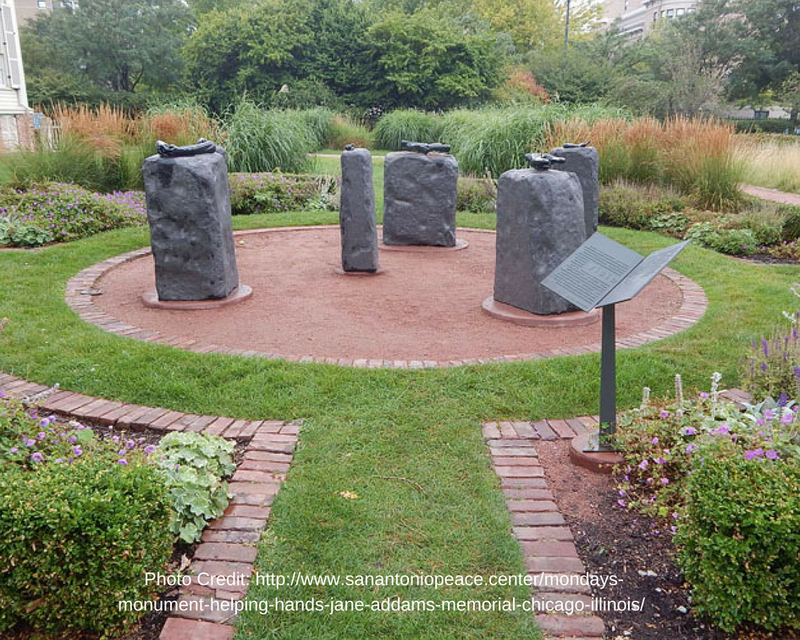 She may be most notable for establishing Hull-House in Chicago, but Addams’ activism was far more robust, particularly her peace advocacy. For instance, she co-founded the Central Anti-Imperialist League in 1899 and the Women’s International League for Peace and Freedom in 1915. In fact, Addams exerted considerable influence as a female leader in the anti-imperialist movement. Addams’ writings also captured her moral vision. Like Walter Brueggemann’s depiction of the Hebrew prophets, Addams nurtured, nourished, and evoked “a consciousness and perception alternative to the consciousness and perception of the dominant culture” through her social activism and literary production. She challenged existing power structures with the artist’s “resistant intellectual consciousness.” In language similar to Brueggemann, Katherine Joslin describes Addams’ artistry in this way: “Her imagination ranged beyond creativity for its own sake into dense moral thickets that confounded her generation and continue to vex us today: the social and economic disparity between rich and poor; the cultural ramifications of migration; the lure of the capitalist marketplace; the politics of fair play, especially in cities; and the strains of nationalism on world peace.” Addams’ moral consciousness or imagination propelled her social activism; it empowered her desire to solve some of the “dense” social problems that confounded her generation. Scholars typically associate Addams’ moral imagination or theological vision with a popular current in American Christianity at the turn of the nineteenth century: the Social Gospel. The association is not without merit since many of Addams’ progressive theological perspectives did align with social gospel teaching. My exploration into Addams’ moral imagination, however, revealed a more profound connection to Christian primitivism. In fact, I would argue that Addams constructed a social imaginary through her writings and activism that was nourished by a fascination with earliest Christianity. It was her attraction to the simplicity, pacifism, and social humanitarianism of the early Christians that energized her social-theological vision. She imagined her work as a participation in the purest form of Christianity exemplified by the pre-Constantinian church. The catacomb of St Agnese’s is one of the best preserved in Rome and although it has not paintings as St Calixtus has, it is one of the most interesting in Rome. The inscriptions are quite undisturbed and there are fewer graves of martyrs which have become shrine & hence chapels. The early Christian symbols are so beautiful and attractive, as if they could scarcely find anything joyous and pe[a]ceful enough to express their eagerness for death and belief in immortality. Her interest in the iconography in the catacombs fueled her admiration for the earliest Christians. 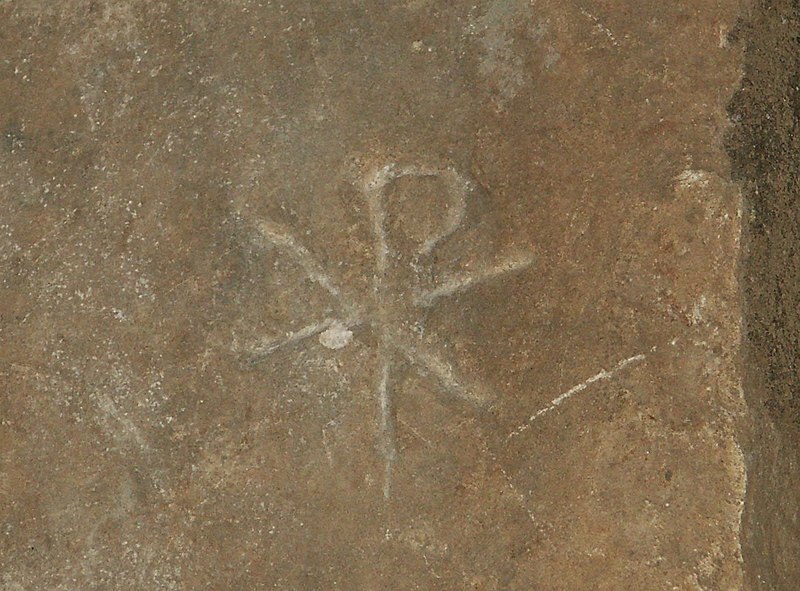 She was particularly influenced by one image imprinted on walls and ceilings: the Chi-Rho symbol. Chi and Rho are the Greek letters X and P, the first two letters of the word for “Christ” in Greek. 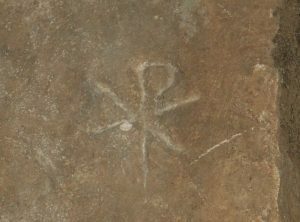 The early Christians overlaid these two letters to fashion a symbol for the religion that actually predated the later popularity of the cross. At some point during her visit to Rome, Addams purchased a Chi-Rho pin, which she frequently wore during the 1890s. According to Victoria Brown, the Chi-Rho pin “announced Jane’s identification with that early moment in Christian history when, in Jane’s mind, followers of Jesus’ teachings comprised a democratic counterculture…For her, the brooch was symbolic of the pre-Constantinian era, as well as a pre-crucifix era, when Jesus was a guide to peaceful love in this life, not disembodied salvation in the next.” The Chi-Rho pin signified Addams’ solidarity with the Christians of the first three centuries of the church as she worked for social justice and peace. Some Americans have enshrined first times as an ideal to be approximated and even as a kind of transcendent norm that stands in judgment on the ambiguities of the present age. In this case, the myth of first times has been a beacon summoning Americans to perfection. On the other hand, some Americans have fully identified their religious denomination or even their nation itself with the purity of first times. The allusion thereby fostered in the minds of these Americans is that they are an innocent and fundamentally natural people who, in effect, have stepped outside of history, thereby escaping the powerful influences of history, culture, and tradition. These Americans therefore have often confused the historic particularities of their limited experience with universal norms that should be embraced, they have thought, by all people in all cultures and all times. Addams’ emphasis on the “renaissance” of early Christian humanitarianism mirrors at least two aspects of Hughes’ and Allen’s description of American restorationism: she undoubtedly “enshrined first times” as the “transcendent norm,” and she identified the social settlement movement with “the purity of first times.” She was “certain” that the renaissance of early Christian humanitarianism was “going on in America, in Chicago”; it was, indeed, the “spiritual force” at work in the success of any settlement. As far as Addams was concerned Hull-House restored the true character of the early church where people from every ethnicity and socio-economic condition lived together in peace, love, and unity; it stood “on something more primitive than either Catholicism or Protestantism.” Chicago’s first settlement was a light to the world, a beacon pointing xenophobic, corrupt, and violent Americans to the pure humanitarianism of the early church. It may be tempting to dismiss Addams’ idealization of earliest Christianity as hagiography, but one cannot deny the formative influence of Christian primitivism on her social thought and peacemaking. She imagined her social activism as a recapitulation of the humanitarianism of the first Christians. 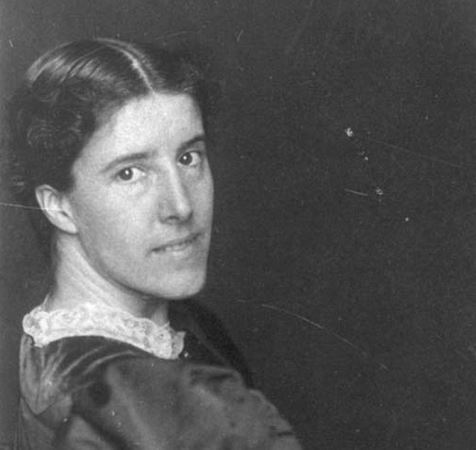 The moral imagination that shaped her autobiography, speeches, and books on social reform and peace was enlivened by the mythology of Christian primitivism that other American religious reformers used to promote their vision of the restored faith. For a fuller discussion of gender politics within the anti-imperialist movement see Erin L. Murphy, “Women’s Anti-Imperialism, ‘The White Man’s Burden,’ and the Philippine-American War: Theorizing Masculinist Ambivalence in Protest,” Gender and Society 23, no. 2 (April 2009): 244-270. Walter Brueggemann, The Prophetic Imagination (Minneapolis: Fortress, 2001), 3. Edward Said, Representations of the Intellectual (New York: Vintage, 1994), 16. Katherine Joslin, Jane Addams: A Writer’s Life (Urbana: University of Illinois Press, 2004), 5. For one example, see Ronald White, Jr. and C. Howard Hopkins, The Social Gospel: Religion and Reform in Changing America (Philadelphia: Temple University Press, 1976), 102. There were primitivist elements in the Social Gospel.  For instance, see Matthew Bowman, “Sin, Spirituality, and Primitivism: The Theologies of the American Social Gospel, 1885-1917,” Religion and American Culture 17, no. 1 (Winter 2007). Nonetheless, the type of primitivism that attracted Addams was more closely associated with earlier movements in American Christianity like those identified by Leonard Allen and Richard Hughes in Illusions of Innocence: Protestant Primitivism in America, 1630-1875 (Chicago: University of Chicago Press, 1988). I rely here on Charles Taylor’s definition of “social imaginary”: “By social imaginary, I mean something much broader and deeper than the intellectual schemes people may entertain when they think about social reality in a disengaged mode. I am thinking, rather, of the ways people imagine their social existence, how they fit together with others, how things go on between them and their fellows, the expectations that are normally met, and the deeper normative notions and images that underlie these expectations.” See Charles Taylor, Modern Social Imaginaries (Durham: Duke University Press, 2004), 23. 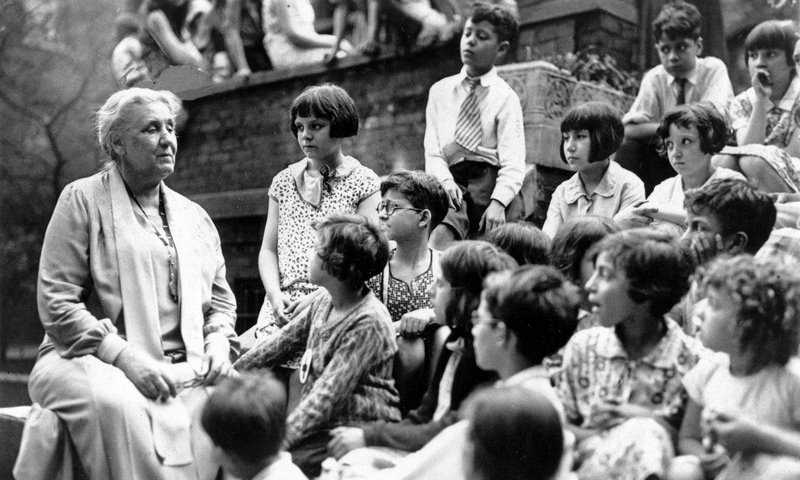 Victoria Bissell Brown, The Education of Jane Addams (Philadelphia: University of Pennsylvania Press, 2004), 194. 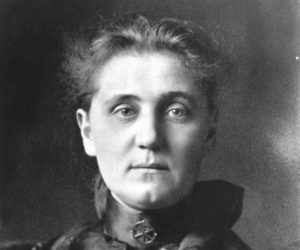 Jane Addams, “Letter to Sarah Alice Addams Haldeman 22 March 1888,” in The Selected Papers of Jane Addams: Venturing into Usefulness, 1881-1888, eds. Mary Lynn McCree Bryan, Barbara Bair, and Maree De Angury (Urbana: University of Illinois Press, 2009), 2:586. Jane Addams, “The Subjective Necessity for Social Settlements,” in Philanthropy and Social Progress (New York: Thomas Y. Crowell & Company, 1893), 2. Addams, “The Subjective Necessity for Social Settlements,” 20. Jane Addams, “The Settlement as a Factor in the Labor Movement,” in Hull-House Maps and Papers, a Presentation of Nationalities and Wages in a Congested District of Chicago, Together with Comments and Essays on Problems Growing Out of the Social Conditions by Residents of Hull-House, a Social Settlement (New York: Thomas Y. Crowell & Co., 1895), 194. See Richard Hughes, ed., The American Quest for the Primitive Church (Urbana: University of Illinois Press, 1988).